BRPs luxurious Commander 1000 Limited offers the most style and prestige of any Can-Am side-by-side, and any side-by-side in the industry. 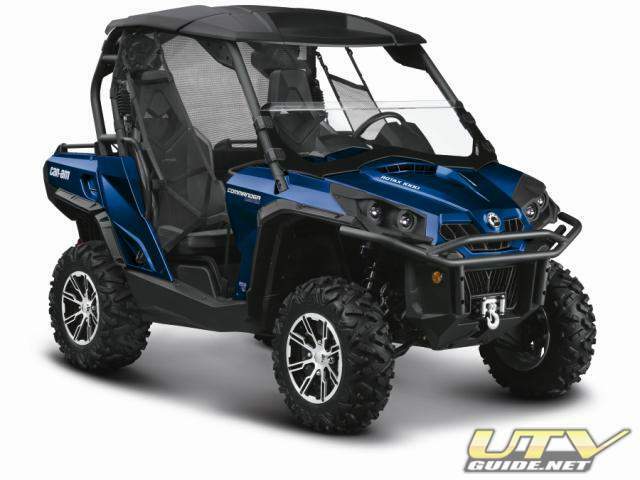 Add in the new, sophisticated Pure Magnesium painted or Orbital Blue painted plastic, 85-horsepower 976cc Rotax engine and other premium upgrades and this Commander is truly supreme. We also took comfort and convenience to the next level with the 1000 Limited by adding proven accessories  WARN® winch, Garmin® GPS, Air-Control Fox Racing Shox®  so your side-by-side not only looks good, but performs to your strict standards. Incorporating all of our innovative Commander DNA and based off the Commander XT platform, the 1000 Limited includes an industry-leading Air Control Suspension, which allows for up to six pre-set custom suspension levels for the high pressure gas shocks. To adjust both the front and rear suspension levels to suit trail conditions or load, simply select the desired amount of preload pressure and drive away in comfort. The Limiteds offers a distinguished appearance thanks to its two-piece hard roof, half windshield, fender mudguards, rear net and innovative dual-level cargo box with integrated rails. BRP doesnt stop there, however. 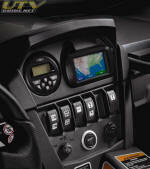 The Commander Limited also comes from the factory with a premium sounds system complete with four speakers, AM/FM weather-resistant stereo and portable music player integration. Ride in style and entertain as the Limited will be the center of attention. A roof comes standard as well, completing the luxurious package. The Rotax 1000 80º V-twin is the most powerful rec-utility side-by-side engine in the industry*. The 85-horsepower, liquid-cooled, single overhead cam power plant features four valves per cylinder and is fed by a 54mm Bosch throttle body and two VDO Seimens fuel injectors. The sophisticated electronic fuel injection system automatically keeps the engines performance at its peak, regardless of temperature or altitude. A throttle-by-wire system that works in conjunction with the 54mm Bosch throttle body to produce smooth throttle delivery even if ones foot is bouncing due to the terrain. The iTC system detects unwanted bounces and filters the input, resulting in more throttle accuracy, especially at low speed. This system also reduces the number of moving parts in the vehicle; requires no maintenance; has no cables to adjust, lubricate, or replace; and the system has an increased life span. 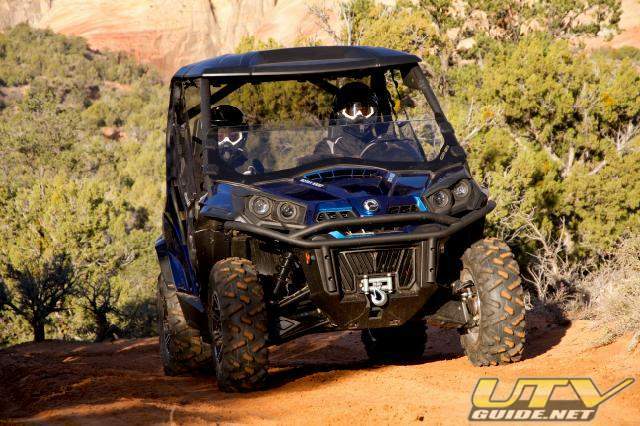 Can-Am engineers and designers outfitted our distinguished Commander 1000 Limited with a premier Air Control System and premium Fox Racing Shox-built high-pressure gas shocks. 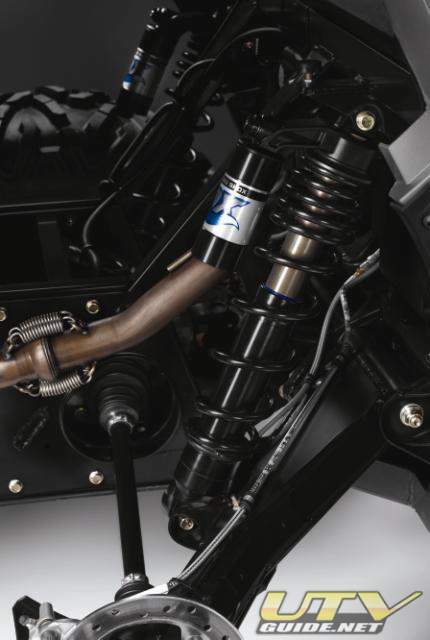 The shocks, which are tuneable to supply 10 inches (25.4cm) of suspension travel up front and 10 inches (25.4cm) in the rear. The Air Control Suspension has six pre-set custom suspension levels to tune the high-pressure gas shocks for load hauling and trail conditions. Simply select the desired amount of preload pressure (1 through 6) via the LCD display and gauge and get to work. An air hose that attaches to the compressor is included so you can add air to tires during a trail ride. A double A-arm front suspension design features up front dive-control geometry, which works to eliminate diving under heavy braking and rough terrain. 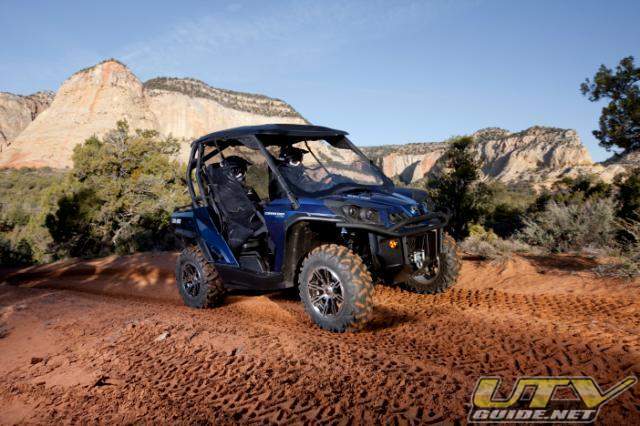 By controlling vehicle dive, the Can-Am Commander handling is more precise in all situations and terrain types. At the rear, the trailing arm design provides excellent control and stability, especially in rough terrain by eliminating scrub. Wheels move rearward as they move up and down producing a smoother ride than the competition, and the side-by-side does not waver down the trail. 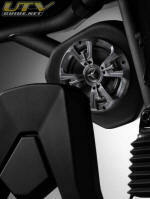 Plus, TTI has 75 percent fewer parts than competitive designs and significantly decreases tire wear. 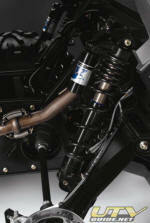 BRP chose a premium Warn winch kit for the ultimate in performance and durability. Well respected in the off-road community, the WARN winch kit includes a roller fairlead, wired remote control and integrated winch remote storage. Designed to be durable and attractive, our two-piece hard roof lets you customize your Commander Limited as you see fit. It also keeps you better protected from the elements and offers a unique look compared to stock. 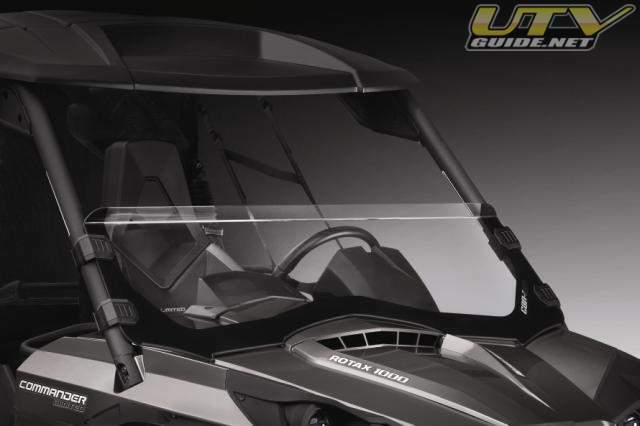 The half windshield in the Can-Am Commander Limited creates a more stunning overall appearance. 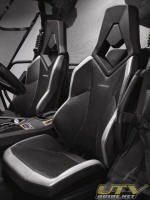 It also reduces the amount of trail debris reaching the cab, yet lets more air reach the occupants. 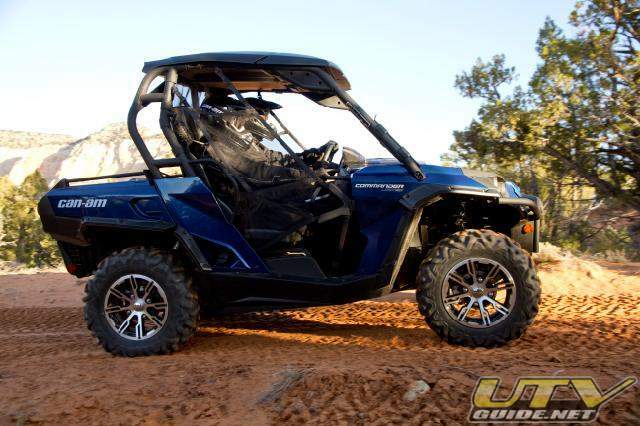 Factory installed, the heavy-duty front bumper on the Can-Am Commander 1000 Limited is completely covered by the factory warranty. It also offers added protection and gives piece of mind in rugged conditions. Along with a more rugged appearance, the cargo box rails provide additional locations to attach tie-downs for cargo carrying. The Commander Limited features the Can-Ams industry-exclusive dual-level cargo box with two levels separated by a removable, water-tight panel. It offers the possibility to have an upper and a lower bed with an independent tailgate. The box has a 600-pound (272kg) total carrying capacity (400 lbs. upper; 200 lbs. lower) and has the most volume capacity in the market. The addition of rear net expands upon the Commander Limiteds exclusive looks. 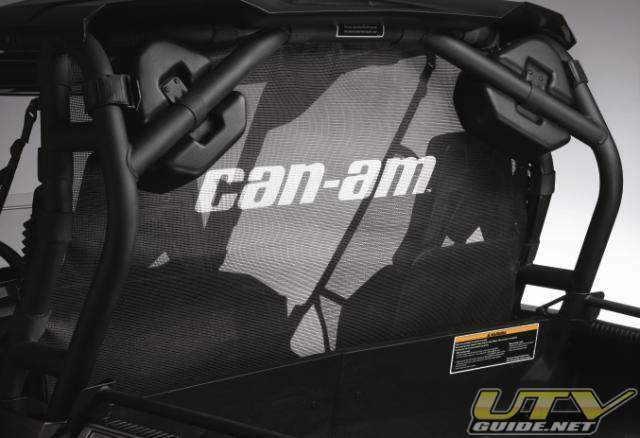 The rear net acts an open-air cover for the rear of the ROPS-approved cab and featured the Can-Am logo. 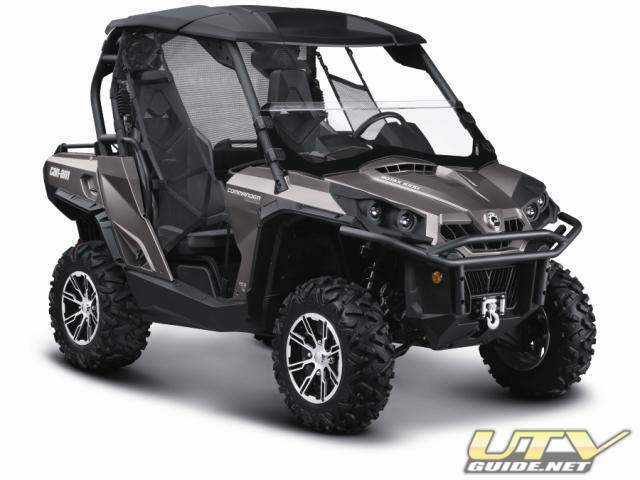 Mudguards were added to the Can-Am Commander 1000 Limiteds wheel wells to enhance its look and to improve mud protection for the driver and passenger. New 14-inch, cast-aluminum wheels are extremely strong, yet lightweight and feature a Limited-specific finish for an exclusive look. Computer optimization has helped build durability and reduce weight by eliminating any unnecessary material. 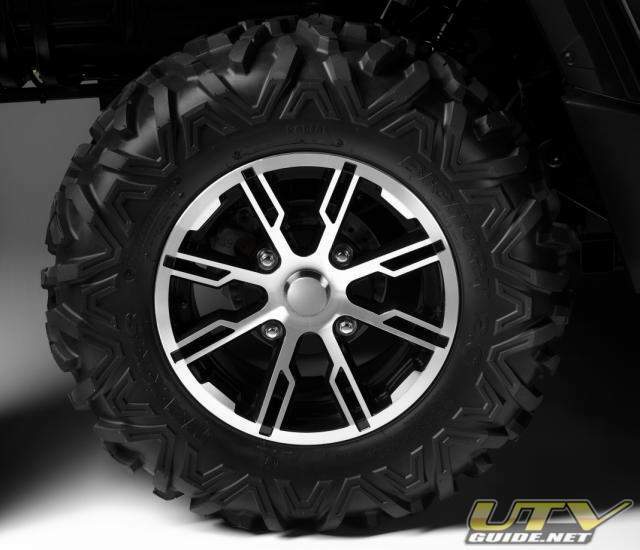 A proven name in the off-road industry, the Maxxis Bighorn 2.0 tire features a tough, six-ply radial construction, yet is lightweight to cut down on unsprung weight. The non-directional lug pattern provides predictable cornering, yet is aggressive enough to supply maximum traction for conquering roots, ruts, rocks and more. The Can-Am Commander Limited has full-size seats with an integrated headrest, side padding and a design specific to only this side-by-side. The removable setup means you can always have comfortable seating, whether youre in the cab or sitting around the campfire. The drivers seat is also adjustable fore and aft without the need of tools; it is an automotive style adjustment for 6.3 inches (16cm) of total adjustment. The custom steering wheel inside the Commander Limited is wrapped in leather and has a center section with brushed aluminum finish. New for 2012 is the eye-catching Pure Magnesium painted plastic. It joins Orbital Blue as an optional Limited color. This method of production ensures the plastic retains its finish and is more scratch resistant. 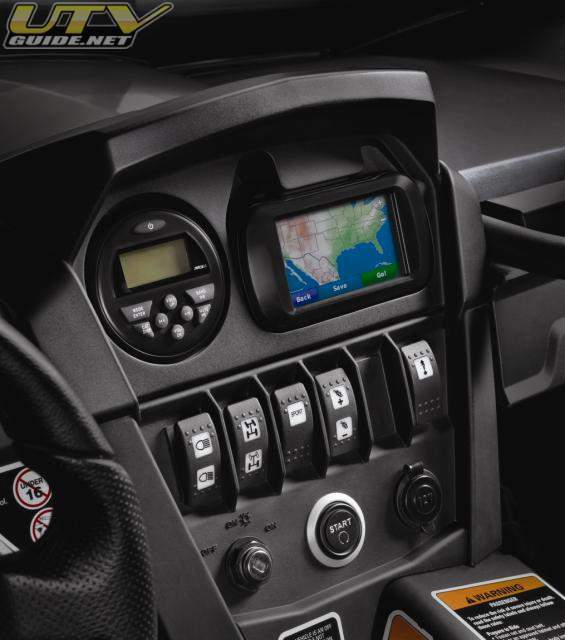 The gauge package on the Can-Am Commander 1000 Limited has been upgraded over the base model to include state-of-the-art instrumentation. This includes an analog tachometer and speedometer combined with an advanced digital information center. To further improve your off-road riding experience and give the Commander Limited another form of functionality, Can-Am engineers added a four-speaker sound system thats compatible with most major portable music players (including the iPod), and offers a USB port and an auxiliary input.